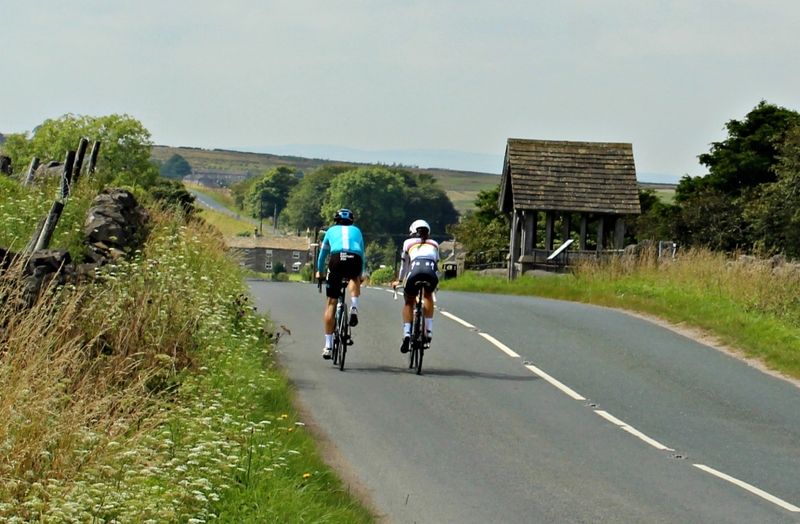 Say what you like, but good socks are the unsung heroes of cycling. I’ve had cold feet, wet feet, sweaty feet far too often in the past, and know that I don’t have to. Yes, if you’re meaner than Ebenezer Scrooge then go to a cheap sports shop … I won’t be joining you or recommending our readers do. Instead, we tested several pairs of socks from brands that we generally like in other kit areas, to see how they fared. 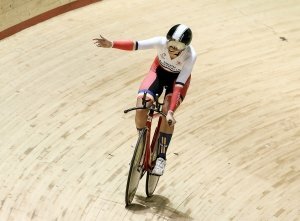 I’m pleased to say that we were pleasantly surprised at the results; and, whilst we don’t give an overall winner, all reached at least 4 stars, with 2 brands gaining the coveted 5 stars – Italian brand Rosti, and cycling socks specialists ‘The Wonderful Socks’. Time to show you the results then. They’re a regular calf length sock, nicely trimmed off with no loose threads and very well elasticated. The overall feel of the sock is good, wicking away moisture drying quickly and also providing adequate warmth. After a long ride, I also found my feet stayed moisture free and not smelly; and, the compression effect is nice too. The design is bright and modern, with the branding fitting in and giving some style, matching the Rosti Road Warrior kit perfectly. Yes, it’s a full 5 stars for the Rosti socks. Being renowned for their foot comfort, we were keen to see how these socks performed. Like the Rosti socks, TWS comp vary the thread and weave in different areas, using a strong and stretchy mesh weave on the uppers, and tighter weave at the toe, heel and foot areas. The polypropylene and Resistex Carbon thread uses innovative fibres to give the upper weave a heavier feel, but with the fine mesh allowing more air flow and wicking, improving breathability. In this way it’s very similar to the Rosti. It also shares a similar stretch arch support band of thread across the front of the foot. What did impress with these socks from TW Company was how warm they were for so light a sock. They also wicked away moisture superbly and cushioned the feet on ongoing rides. Compression was spot on, and they dried out quickly when the rain stopped a day the wind blew. Despite some cold days, I’ve worn these without overshoes and had happy feet. It’s a full 5 stars for The Wonderful Socks Company; and the variety of designs is endless, with something to suit everyone and all kit colours. 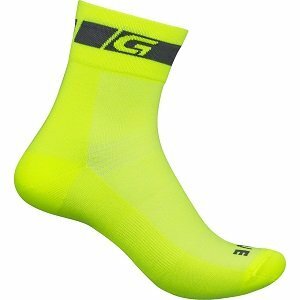 These socks come in standard white or bright foot lovers from Danish brand GripGrab and are excellent. Then again, we’ve never been let down by these guys, so the ‘foot love’ writing across the socks is quite apt. Made from lightweight Coolmax mesh, the regular length socks have a high cuff, with a heavy and tight weave across the rear area of the upper, moving over the heel, with a similar strong weave on the soul and toe areas, giving strength and comfort. The front is a light mesh, improving breathability, and it’s all beautifully stitched together. There’s the usual stretched arch support that you get it in quality socks, and the compression is reasonable. 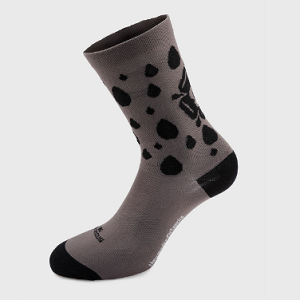 The socks will keep you warm, wicking away the moisture reasonably well too, and keep your feet comfortable. The toe area could be slightly tougher, but it’s a small point, and we love the stylish visibility of the colour and styling. These are without a doubt our favourite socks, both for the strength of design and the performance. 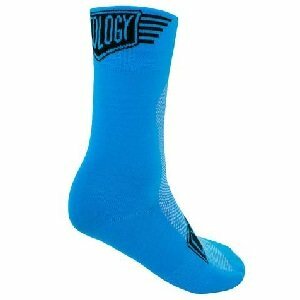 Cycology obviously take socks seriously, and the variety of technical elements shows their attention to detail. Their cycling socks are made from an extremely strong stretch fabric that provides excellent moisture-wicking, with mesh panels across the bridge for ventilation, comfort & durability. Flat toe seam construction also provides excellent foot comfort. A more elastic knit is used to provide a snug fit around the arch, giving excellent support too. Best of all, the ankle cuff is wide and thick and very strong; this ensures that the sock is kept firmly in place as you exercise, maximising comfort. The sock simply feels strong and thick and full of that necessary compression that you know will benefit you. It’s a sock that you want to wear when you hold it. 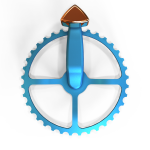 In terms of colours and designs, Cycology have this as their trademark, and design is their strength. They really are the ultimate cycling sock and well worth the money. 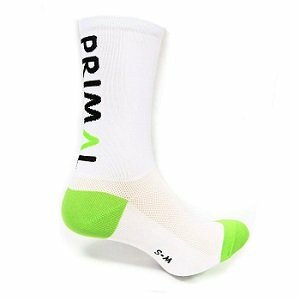 Primal have a reasonable range of socks for a general clothing brand, and these mid-range socks are a good option. Made from the usual mix of man-made fibres, spandex and Lycra, they’re strong and stretchy, and keep you warm and comfortable. Primal describe the thread mix as their Advanced Air Transport Fabric Composition, and it does wick okay. However, we would have liked to see a greater mix of thread weave and weight, to improve breathability further; but they performed generally well, and had good compression. They did lack that extra stretch across the arch, but as stated, compression was super. 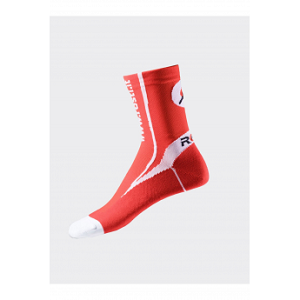 They’re a very stylish and comfortable sock for long rides in all weathers, and will keep your feet happy.